We tell you a story, which comes from the Aaran Islands (also known as the Aran Islands), legendary and fascinating islands, surrounded by a halo of magic and located to the west of Ireland. It’s an ancient tale of wool and knitting. Yes, because Aran Stitches, famous everywhere, are not only beautiful knit stitches, but also are rich in symbolism. The symbology linked to Aran Stitches, in knitting, has been subject to various interpretations by historians, generating a series of legends and theories, each of which contains its part of truth *. The weather on these islands is cold, wet, and windy, and a warm wool sweater is a must. 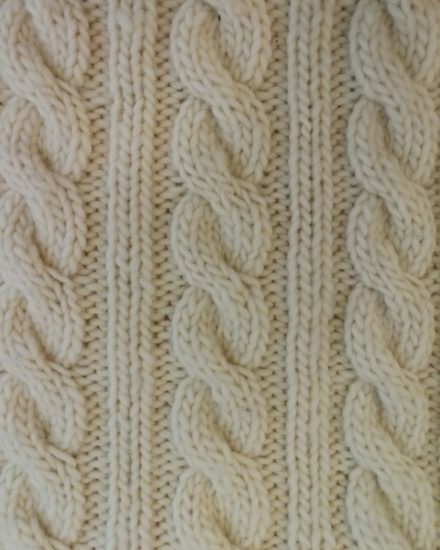 The livelihood of the residents of these islands was farming and fishing, so Aran sweaters were made with a high-lanolin-content wool to make them as waterproof as possible. Fishing provided the main source of income for those living on the island. The island men braved the stormy seas of the Atlantic throughout the year, putting their lives at enormous risk. Thus was born the Love Grammar, where every stitch is a message, and the set of more stitches is a sentence of love. Don’t you find it beautiful and magical, too? 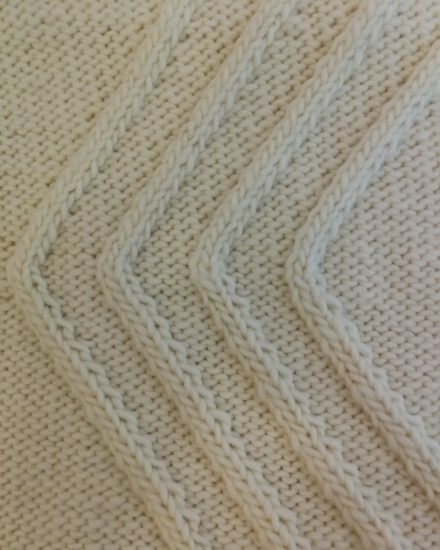 In love, often we don’t need words … but maybe we need to know how to knit Aran stitches!!! Perhaps the most frequent stitch on Irish sweaters. It depicts the rope, the lifeline of the fisherman. It’s a wish of safety and good luck while at sea, a wish to always find the ropes to cling to in the difficult moments of life and love. Cables are indestructible bonds for a faithful and strong love! Represents the twisting coastal paths that lead to the sea, and the ups and downs of married life. It’s the wish to solve together the troubles of love. Don’t you find all this sort of thing fascinating? If we have intrigued you, you can find the complete symbology of Stitches of Love in the booklet Aran Island Knit, accoring to an ancient legend, included in every kit of our new Knitting of Love collection. A collection designed by Giuliano & Giusy Marelli, experts and scholars of Aran Stitches and their tradition. The Knitting of Love collection is made from our fine Peruvian wool, Mini Wool, and it is composed of 3 knititng kit of intermediate and advanced level, that you can find on our store and that could be a great idea as Valentine’s Day Gift!